(Ft. Myers, San Carlos Park, Estero, Bonita Springs, Naples,) sewer video camera inspections and pipe locating. With the technology of today, it is just not necessary to make an educated guess. A plumber of five years experience and a sewer video camera can make a plumber of 20 years look like the rookie. Moen Brothers Plumbing and Drain utilizes only the finest color sewer camera inspection units on the market today. Our drain cleaning machines do a fine job of cleaning pipes, but they are not capable of permanently fixing a cracked or crushed sewer line. After the sewer camera inspection has found the broken pipe, a signal can be sent up from the camera head to above ground. 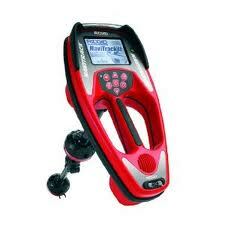 Our digital line locators can then receive that signal and tell us where to dig and even how far down the pipe is. The old days of chasing a broken pipe with a backhoe are over, we can usually make the repairs with minimal damage to your home or lawn. The sewer camera inspections can also be recorded to a DVD. Some associations or insurance companies may want to see the footage from the sewer camera inspections. Thinking about purchasing an older home? Don’t let the fresh remodeling fool you. Underneath the floor may be 40 year old rusted, cracked pipes. Get a sewer camera inspection from Moen Brothers Plumbing & Drain. The small cost of the sewer camera inspection is minimal compared to the thousands of dollars it can save you. If a sewer video pipe inspection sounds like a service you would like to schedule, please call now, we have a sewer video camera in Ft. Myers, Naples,Estero, Bonita Springs and San Carlos Park ready to diagnose your clogged or slow drain issue. Pipes that are constructed of metal, or have a tracer line installed with them can be electronically located. Also, pipes that our sewer and drain camera can fit in can be electronically located. We have pipe locating equipment that tells us where the pipes are and even how deep they are buried. Why is this important? Knowing where your pipe lines are can save you a lot of money and time repairing unnecessary lines. During a residential or commercial plumbing remodel, why install a new line when there is a proper line to connect to less than 5 feet away? Why let a backhoe hit a gas line running in the area you are digging? We have the ability to warn you of these costly repairs before they happen. As stated above, we can also receive the signal our cameras are sending to repair a sewer line without digging up the entire yard. Until you know the location of your buried pipe lines, it is difficult to properly estimate the costs to repair or add other fixtures to a pipe line. Call Moen Brothers Plumbing & Drain and know what you will be digging up before you dig it up. 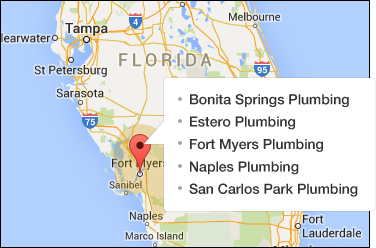 Our Sewer video cameras and pipe locating equipment is available in Ft Myers, Naples, Estero, Bonita Springs and San Carlos Park, Fl for immediate service if needed.